Up to 120,000 total bonus points: Earn 80,000 bonus points after spending $2,000 on purchases within the first three months of account opening plus an additional 40,000 bonus points after spending a total of $5,000 on purchases within 6 months of account opening. Southwest now flies to Hawaii! Southwest Airlines offers a unique feature called the Companion Pass, which lets you pick one person to fly with free when you book either paid or award flights. 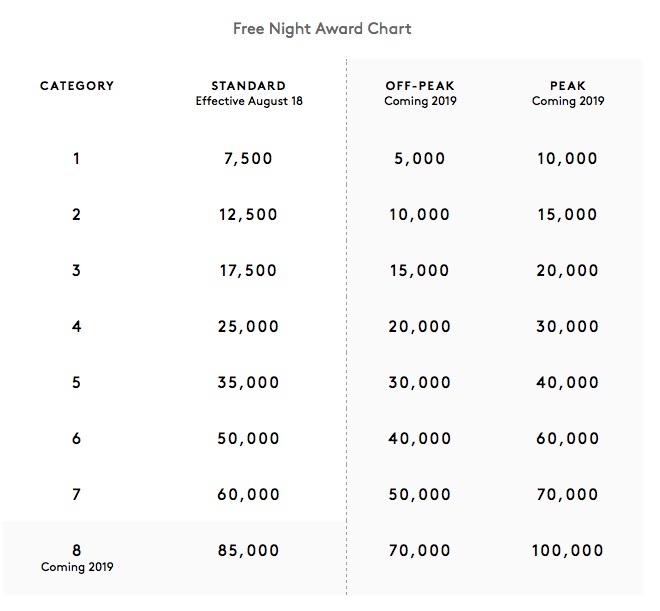 If you either fly 100 qualifying one-way flights or earn 110,000 qualifying points in a calendar year, and you’ll earn the Companion Pass for the remainder of that year plus the following full calendar year. For example, if you earned it in February 2019, you would have the benefit for the rest of 2019 and all of 2020. You can change your designated companion up to three times each calendar year. The ABOC Platinum Rewards Credit Card just got revamped to include 5X rewards on rotating categories each quarter. This card is a Mastercard issued by the Amalgamated Bank of Chicago (ABoC), a 100+ year-old commercial bank. Right now, it is offering a $150 sign-up bonus to new cardholders (see requirements below). There are a few quirks, so read on for the details. $150 statement credit after making $1,200 in purchases within the first 90 days of account opening. Your account must be open and in good standing to get the bonus. Earn 5x rewards on up to $1500 in combined purchases each quarter in popular categories such as dining, groceries, travel, and automotive. 0% intro APR on purchases and balance transfers for 12 months. After that, your APR will vary with the market based on the Prime Rate. You must transfer your balance within 90 days of your account open date for the promotional APR to apply. Late payments will not result in a higher interest rate. You must first register each quarter at ABOCRewards.com or in your online account before you can start earning the 5X rewards. Points redemption. You’ll note that it says 5X rewards, not 5% cash back. That is because you technically earn points, and the points can be transferred to travel, cash (in the form of a statement credit), gift cards, and merchandise at different ratios. The best redemption rate is redeeming towards their travel portal at 1 point = $0.01 in value. There are limited details about this on their website. The key question is whether an airfare ticket or hotel night costs the same on the ABOC travel portal as on Expedia, Travelocity, etc. 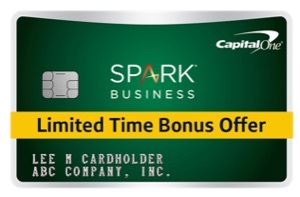 The cash back option is 1 point = $0.0075, which would turn the 5X rewards into 3.75% straight cash back in the form of a statement credit. The gift card redemption value is in between cash and travel credit, and may be worthwhile if its a merchant you shop at anyway. I would personally get the Chase Freedom and Discover it ahead of this card, if only because they offer a straight 5% cash back on their rotating categories without having to go through a travel portal. However, if you already have those cards, this card would make a nice addition as the category calendars are not exactly the same, and you will get increased spending limits even if they do happen to match up. Bottom line. The ABOC Platinum Rewards Credit Card offers a sign-up bonus and 5X rewards on rotating categories each quarter. The 5X points can be redeemed for an effective 3.75% cash back, or 5% back through their travel portal. If you already have similar rewards in your purse or wallet, this card can be a great addition as you can achieve higher spending limits and also possibly different categories in any given quarter. Bank of America is running their Museums on Us program again for 2019, which offers cardholders free admissions to 200+ museums, science centers, and botanical gardens nationwide on the first full weekend of every month (Saturday and Sunday). Each person just needs to show their valid Bank of America or Merrill Lynch credit or debit card and photo ID for free admission. Each cardholder gets one free general admission for themselves only, so be sure everyone with their own cards brings them. If you have a BofA credit card, you may consider adding family members (of any age) as a free authorized user. Another option is to open a Kids Savings Account with no monthly fee and also comes with a debit card. You may need to open this in a physical branch. Here is the full list of participating locations [pdf]. One of the available museums is the Thinkery in Austin, Texas. We found it to be a fun and interactive children’s science center. The admission was $12 per person including kids (23 months and under free), which means this could have saved our family of give between $24 and $60 for that one day. I’ve seen other museums on their list with $20 admission prices. While I wouldn’t open a new bank or credit card account for this feature, it is a nice perk if you already have such accounts. You can also sign-up for a free text reminder before each free weekend. I signed up and haven’t gotten any spam texts from BofA, just the reminders. Merrill Edge is the self-directed brokerage arm formed after Bank of America and Merrill Lynch merged together. They are currently offering an increased cash bonus of up to $900 for moving “new money” or assets over to them from another brokerage firm. This new bonus is linked to the BofA/Merrill Preferred Rewards program, which is another reason to consider using them as it gets you free stock trades and better credit card rewards. Here’s an overview along with my personal experience as I’ve had an account with them for a few years now. Cash bonus. Brokerage firms love to collect assets. The good news is they don’t require cash that will be earning zero interest, and Edge has no management fees if you stick with DIY. If you are holding shares of stock, ETFs, or mutual funds elsewhere, you can simply perform an “in-kind” ACAT transfer over to Merrill Edge. Your 100 shares of AAPL will remain 100 shares of AAPL, so you don’t even have to worry about price changes, lost dividends, or tax consequences. Any cost basis should transfer over too. For comparison, here is an expired offer that was slightly better but probably the highest I’ve seen. Here is the standard offer that has been around for a while. 1 Offer valid for new and existing individual Merrill Edge IRAs or Cash Management Accounts (CMAs) opened by April 30, 2019. Offer is limited to one CMA and one IRA, with no more than two enrolled accounts per accountholder. Eligible Merrill Edge IRAs limited to Rollover, Traditional, Roth and owner only SEP IRA. The Merrill Edge IRA or CMA may be a Merrill Edge Self-Directed account, Merrill Edge Advisory Account or Merrill Guided Investing account. You may be eligible for a different or better offer. Please contact us for more information. Note that last sentence! It’s not just boilerplate. After I did this bonus once with a partial transfer (just enough to satisfy the requirements), a Merrill Edge rep contacted me and offered me a custom bonus to move even more assets over. (The bonus ratios were about the same, but higher limits.) Therefore, if you are considering this and have more than $200,000 to transfer over, you may want to give them a call and see if they can offer even more money. You can even transfer in Admiral Shares of Vanguard mutual funds that they don’t let you trade there, but you can only hold or sell them. You can’t buy more shares. You can, however, buy more shares of the corresponding Vanguard ETF if you wish. At the Platinum and Platinum Plus levels, Merrill Edge will give you 30 and 100 free online stock trades every month, respectively. Bank of America’s interest rates on cash accounts tend to be quite low, so moving cash over to qualify may result in earning less interest on your cash deposits. Merrill Lynch advisory accounts also usually come with management fees. The sweet spot is if you have brokerage assets like stocks, mutual funds, and ETFs. Credit cards rewards. With the Preferred Rewards boost, you can get up to 2.6% cash back towards travel on all your purchases on the Bank of America Travel Rewards Card. You can also get up to 5.25% cash back (on up to $2,500 per quarter) on your choice of gas, online shopping, dining, or travel with the Bank of America Cash Rewards Card. My personal experience. In terms of Merrill Edge, I’ve had an account with them for a few years now and my lightning review is that they have a “okay/good” user interface and solidly “good” customer service. I would add that I am not an active trader and only make about 10 trades a year. I have been quite satisfied with the account. I can also move money instantly between my Merrill Edge and Bank of America checking accounts, making it easy to sweep out idle cash into an external savings account. The biggest financial benefit to this BofA/Merrill Edge combo has probably been the 75% boost to their credit card rewards, allowing me to get 2.625% cash back on basically all my daily purchases. The second biggest benefit has probably been this cash bonus, but that’s because I don’t make 100 trades over the course of a few years, let alone a single month. Bottom line. Merrill Edge is currently offering up to $900 if you move over a significant amount of assets to their self-directed brokerage. This can simply be mutual fund or ETFs shares currently being held elsewhere. When you keep enough assets across Bank of America and Merrill Edge, their Preferred Rewards program can offer nice perks like waived bank fees, free stock trades, and boosted credit card rewards. We’ll double all the cash back you’ve earned at the end of your first year. So if you earned $101 cash back, we’ll double it to $202—Automatically. Only for new cardmembers. 5% cash back in categories that change each quarter like gas, restaurants, home improvement stores and more—up to the quarterly maximum when you sign up. 1% cash back on all other purchases. Freeze It on/off switch lets you prevent new purchases, cash advances & balance transfers on misplaced cards in seconds by mobile app & online. Free FICO credit scores updates on your monthly statement. No overlimit fee. No foreign transaction fee. No late fee on first late payment & paying late won’t raise your APR. Enroll after logging into your online account (look on the right-hand side). 5% rewards won’t apply until after you activate your rewards, so it is best to activate now before you forget. Bottom line. The Discover it® card is a rewards credit card that offers 5% cash back on rotating categories each quarter and no annual fee. It’s a little extra work to keep track of things, but it allows me to earn hundreds of dollars in extra cash each year without buying extra stuff I don’t need. 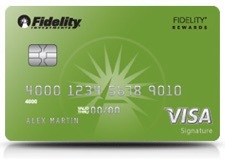 New cardholders get >double their cash back during the entire first year (i.e. $100 cash back gets doubled to $200). This means that the 5% cash back on specific categories will effectively get doubled to 10% cash back. Earn a $100 bonus when you spend $1,000 within the first 90 days. Visa Signature benefits, like Concierge service. Chip-enabled and works with Apple, Android, and Samsung Pay. Note that this card charges a 1% foreign transaction fee, which is less than the 3% that is standard on many other cards. This also still leaves you with a 1% cash back card on foreign purchases. My favorite option is actually the 529 plan option if you have kids, because it is the perfect quiet way to rack up some cash and not just spend it away on a dinner or gadget. Instead, you are gradually building up a pile of money with tax-free earning towards your future college expenses. The IRA option is okay, but the annual limits are a lot lower so you have to be careful not to exceed those caps. Let’s say you spend $2,000 a month on this card. 2% cash back means earning $40 a month in cash back. Let’s also say you put this into a 529 that earns 6% a year. If you started when your kid was born and waited 20 years until their senior year of college, that would amount to $18,574! I plugged it into this savings calculator. Points redemption details. You can either choose automatic or manual redemption. 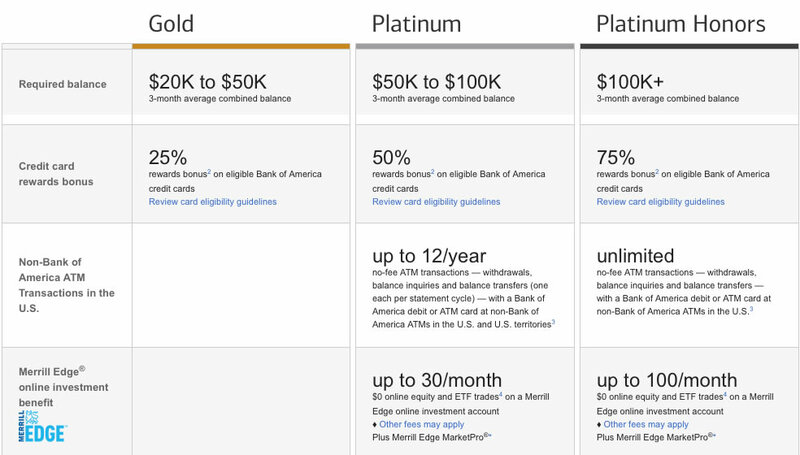 With automatic redemption, once you reach $50 of rewards (5,000 points from net spending of $2,500), your balance will be automatically swept into your designated Fidelity account (or split between up to 5 different Fidelity accounts if you wish). You can also redeem your points “on demand” either by calling in or online after you reach the same 5,000 point minimum balance. Note that the rewards value will be less than 2% cash back if you choose to redeem your points for other rewards such as travel options, merchandise, gift cards, and/or a statement credit. Previous FIA Cardservices customers. You should have received your new Elan-issued cards by now. If you are not getting 2% cash back, be sure to contact them as ask. You may need to re-enroll your card.